1. 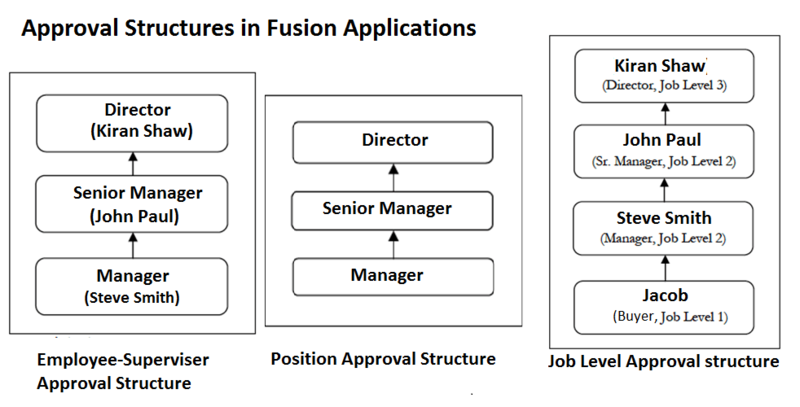 What are the key segments of Fusion Approvals in Oracle Fusion Applications / Oracle Fusion Procurement? 2. How many seeded approvals are available in Oracle Fusion Applications? 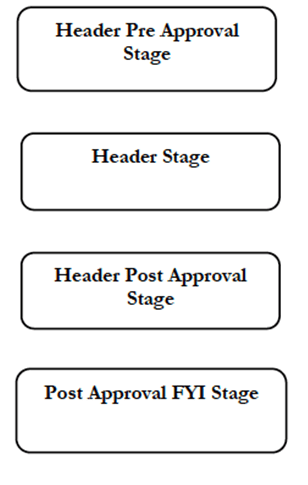 Oracle Fusion Approvals contain three types of seeded attributes. Below are some of the seeded attributes as an example. In addition to seeded attributes, Fusion Applications allow creating user-defined attributes. Currency based User-Defined Attributes: If the company is using a standard set of approval rules, which apply across locations then we can simplify the rule maintenance by setting up rules in the same currency, instead of maintaining currency specific rules. Good post. It has good information about Fusion Purchasing Approvals. Thank you for sharing. Nice post. Thank you for sharing. keep go on. Nice post. I would like to thank you for sharing this post.Keep go on. Nice post. I really want to tell thank you for sharing this post. It helped to know more about Oracle Fusion Procurement. keep posting. Thanks for sharing such a great article. It clears some of my doubts about purchasing Modules. Nice questions and answers on Fusion Approvals. It clears my doubts regarding fusion procurement also. Very good article. This process of fusion purchase helped me a lot. I am looking for this kind of information. thank you for sharing. Wow, that’s what I was searching for, what a information! present here at this website, thanks admin of this website. Hi, of course this piece of writing is actually fastidious and I have learned lot of things from it concerning blogging. Howdy! I just want to offer you a big thumbs up for your great information you have right here on this post.